Today it is my turn to host on the Friday Mashup. When I was taking art class in junior high, pencil drawings were my favorite. My ex-husband made me a pencil drawing of chocolate-chip cookies for his college course that I had framed. I may even have that around here somewhere... Mmmm, cookies. Anyway, I still like to draw and shade with pencil. 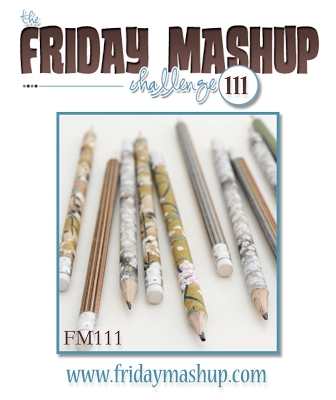 So my challenge for you at today's Friday Mashup is to use pencil in your project, as well as use a splash of color. You can tell what neutral color I'm aiming for with my challenge. For my project, I stamped my image in Basic Gray, after stamping off, and then added shading in with pencil. I used a blending stump to blend in and smooth out the shading. I picked a pretty detailed image and focused on a few buds to get crazy with the shading. For the splash of color, I went literal with splattering watered-down reinker spots with a paint brush. 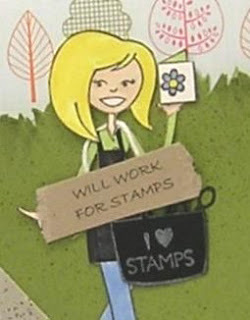 Stamps: Because I Care, Friendly Phrases; Paper: Lucky Limeade, Wisteria Wonder, Whisper White; Ink: Basic Gray, Lucky Limeade reinker, Wisteria Wonder reinker; Accessories: Wisteria Wonder baker's twine, Pencil, Blending stump, Paint brush, Delicate Details EF, Big Shot, Dimensionals. As I'm writing this, I'm making a video on pencil shading based on this card. I'll plug it in here as soon as it is done (new GoPro camera, also doing double-duty for hubby's mountain biking, and he is working on a custom mount for me. It's a process.). Absolutely beautiful !! 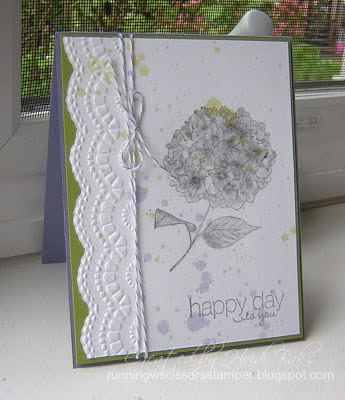 I so need to try that splatter technique - really pushes this card over the top !! Well done. 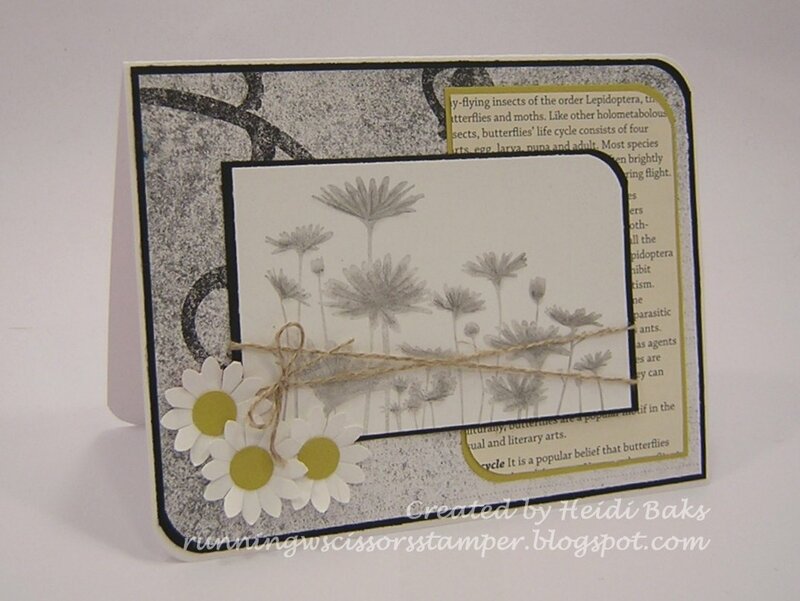 Amazing, Heidi!!!! Wow, wow, wow! Hoping for the chance to play along. Both cards are so pretty Heidi! 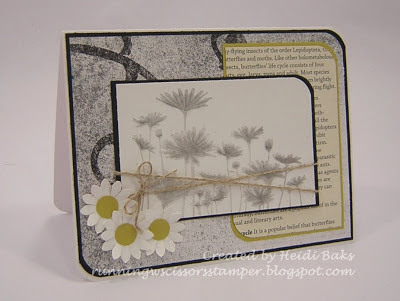 Fabulous technique and challenge this week! Great challenge this week Heidi, you always get me thinking and learning new things with your challenges. 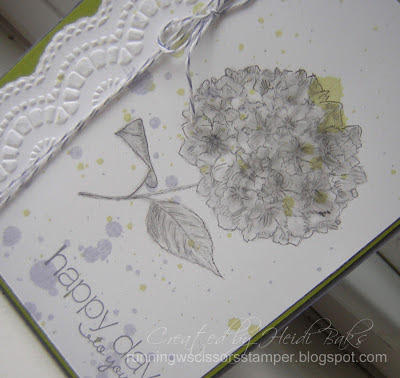 Your cards are just stunning, I especially love the first one with the literal splashes of color! This is really beautiful. 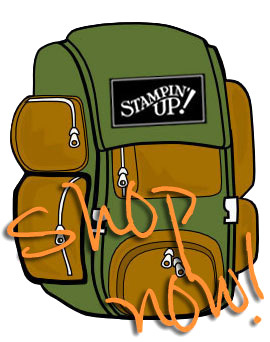 I just love those ink splatters. Thanks for the super fun challenge last week!